Getting tired of your everyday wearing ID card or name badge holder? 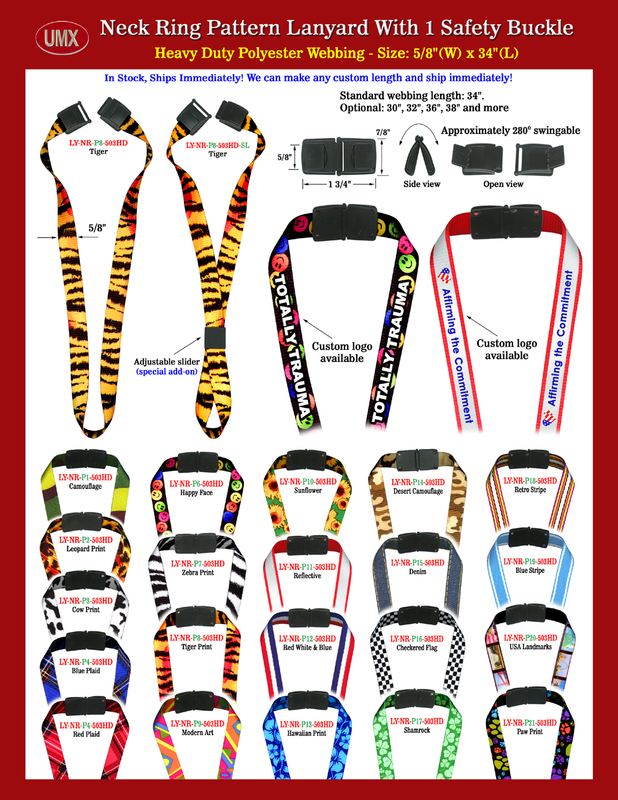 The cool theme pre-printed neck straps, bands or ring lanyards will give you fresh feeling. You can pick several favorate theme and wear them at different day of the week! Not only the themes are greatly designed, but also the materials are specially made for comfortable to wear. An adjustable slider can be added to your order to give you the capability do some adjustment. If you didn't find the right hardware for you, just email us the detail specification and picture, then our R&D department will find the most match one for you. Any custom design, size, length, material, hardware attachment, custom logo and custom imprint are welcome! You are viewing Lanyards > Leash > Neck Ring > 5/8" Pre-Printed Neck Strap, Band And Ring Lanyards With Safety Buckles and Cool Themes.